When a driver is convicted of driving under the influence at the time of an accident, most Florida courts will accept the conviction as proof, or negligence per se, of the driver’s liability. However, a finding of negligence is not the end of the road in the victim’s quest for recovery. Under Florida’s pure comparative negligence law, a victim can share in the fault for the DUI accident. If it is determined that the victim’s own actions were partially responsible for the accident, his or her compensation will be reduced by the amount of fault that a judge or jury attributed to him or her. If a victim sustains a disability in the DUI accident, or if the accident starts off a chain of chronic injuries, medical expenses can become outstanding. 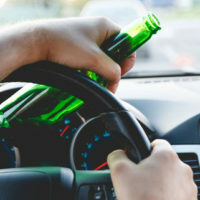 If the drunk driver is found liable for the victim’s injuries, the victim may be entitled to ongoing compensation to cover the cost of medical expenses, both past and future. In Florida, a drunk driver may not be the only person who can be held liable for an accident and any injuries that arise from it. Under Florida’s Dram Shop Laws, an establishment may be held accountable for the defendant’s intoxicated state at the time of the accident. For instance, if a bar over served a patron, and then allowed him or her to leave, they may be held partially responsible for any accidents that the over served patron caused. This is still true even if the establishment employees were unaware of the defendant’s intentions to drive. If a DUI accident leads to a fatality, the amount of compensation the victim’s family will receive greatly increases, especially if the victim was the family’s primary wage earner. If a wrongful death conviction is made, the family can expect to receive compensation for loss of income, past medical expenses, pain and suffering, and loss of companionship. If the victim’s injuries prevent them from working, whether for a short or long period of time, they may be entitled to lost wages. Additionally, if the DUI accident resulted in long-term injuries that greatly reduced the victim’s earning capacity, the victim may be entitled to compensation that accounts for the reduction in income. If you were involved in a DUI car accident in which you sustained serious, life altering injuries, you are legally entitled to compensation to make up for those damages. At The Pendas Law Firm, our Jacksonville personal injury lawyers can help you prove fault and maximize your recovery from the accident. To consult with one of our DUI car accident lawyers, call 1-888-LPENDAS today. The Pendas Law Firm also serves clients in the Miami, Fort Lauderdale, Tampa, Fort Myers, West Palm Beach, Daytona, Bradenton, and Orlando areas.